David O. Selznick (May 10, 1902 – June 22, 1965) was an American film producer, screenwriter and film studio executive. He is best known for producing Gone with the Wind (1939) and Rebecca (1940), both earning him an Academy Award for Best Picture. Selznick was born David Selznick in Pittsburgh, Pennsylvania, the son of Florence Anna (Sachs) and silent movie producer and distributor Lewis J. Selznick. His parents were Lithuanian Jewish immigrants and he had four siblings. Selznick added the "O" to distinguish himself from an uncle with the same name. He studied at Columbia University in New York City and worked as an apprentice for his father until the elder's bankruptcy in 1923. In 1926, Selznick moved to Hollywood, and with the help of his father's connections, got a job as an assistant story editor at Metro-Goldwyn-Mayer. He left MGM for Paramount Pictures in 1928, where he worked until 1931, when he joined RKO as Head of Production. David Selznick's years at RKO were fruitful, and he worked on many films, including A Bill of Divorcement (1932), What Price Hollywood? (1932), Rockabye (1932), Bird of Paradise (1932), Our Betters (1933), and King Kong (1933). While at RKO, he also gave George Cukor his directing break. In 1933 he returned to MGM where his father-in-law, Louis B. Mayer, was studio CEO. Mayer established a second prestige production unit for David, parallel to that of powerful Irving Thalberg, who was in poor health. Selznick's unit output included the all star cast movie Dinner at Eight (1933), David Copperfield (1935), Anna Karenina (1935), and A Tale of Two Cities (1935). 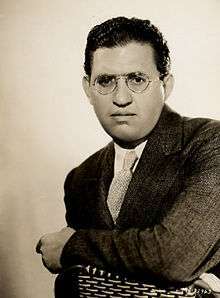 Despite his output of successful movies at MGM, Paramount Pictures, and RKO Pictures, Selznick longed to be an independent producer with his own studio. In 1935 he realized that goal by leasing RKO Culver City Studios & back lot, formed Selznick International Pictures, and distributed his films through United Artists. His successes continued with classics such as The Garden of Allah (1936), The Prisoner of Zenda (1937), A Star Is Born (1937), Nothing Sacred (1937), The Adventures of Tom Sawyer (1938), The Young in Heart (1938), Made for Each Other (1939), Intermezzo (1939) and Gone with the Wind (1939), which remains the highest grossing film of all time (adjusted for inflation). Gone with the Wind won eight Oscars and two special awards. Selznick also won the Irving G. Thalberg Memorial Award that same year. In 1940 he produced his second Best Picture Oscar winner in a row, Rebecca, the first Hollywood production for British director Alfred Hitchcock. Selznick had brought Hitchcock over from England, launching the director's American career. Rebecca was Hitchcock's only film to win Best Picture. After Rebecca, Selznick closed Selznick International Pictures and took some time off. His business activities included the loan of his contracted artists to other studios, including Alfred Hitchcock, Ingrid Bergman, Vivien Leigh and Joan Fontaine. In 1944, he formed The Selznick Studio and returned to producing pictures with the huge success Since You Went Away, which he also wrote. He followed that with the Hitchcock films Spellbound (1945) and The Paradine Case (1947), as well as Portrait of Jennie (1948), a vehicle for Jennifer Jones. He also developed film projects and sold the packages to other producers. Among the movies that he developed but then sold was Hitchcock's Notorious (1946). In 1949 he co-produced the Carol Reed picture The Third Man with Alexander Korda. Gone with the Wind overshadowed the rest of Selznick's career. Later, he was convinced that he had wasted his life trying to out do it. The closest he came to matching the film was with Duel in the Sun (1946) featuring future wife Jennifer Jones in the role of the primary character Pearl. With a huge budget, the film is known for causing moral upheaval because of the then risqué script written by Selznick. And though it was a troublesome shoot with a number of directors, the film would be a major success. The film was the second highest grossing film of 1947 and was the first movie that Martin Scorsese saw, inspiring Scorsese's own directorial career. In 1928 Selznick began an on-again off-again affair with Jean Arthur, one of the successful actresses under him at Paramount that had already been in pictures for five years, while simultaneously dating Irene Gladys Mayer, daughter of MGM mogul Louis B. Mayer. In 1930 Selznick married Mayer and after living in a series of rented houses they moved into an estate purchased for them by Mayer’s father and designed by architect Roland Coate in Beverly Hills, California in 1933–1934. They separated in 1945 and divorced in 1948. They had two sons, Jeffrey Selznick (1932–1997) and Daniel Selznick (1936 - ). In 1949 he married actress Jennifer Jones that he discovered early in her career and mentored, and they had one daughter, Mary Jennifer Selznick (1954–1976), who committed suicide by jumping from a 20th-floor window in Los Angeles on May 11, 1976. Selznick was an amphetamine user, and would often dictate long, rambling memos to his directors, writers, investors, staff and stars. The documentary Shadowing The Third Man relates that Selznick introduced The Third Man director Carol Reed to the use of amphetamine, which allowed Reed to bring the picture in below budget and on schedule by filming nearly 22 hours at a time. Selznick was a Republican. On October 18, 1944, the Hollywood Committee, led by Selznick and Cecil B. DeMille held the Hollywood for Dewey Rally in the Los Angeles Coliseum in support of the Dewey-Bricker ticket, as well as Governor Earl Warren of California, who would be Dewey's running mate in 1948. The gathering drew 93,000, with Lionel Barrymore as the master of ceremonies, and short speeches by Hedda Hopper and Walt Disney. Celebrity attendees included Don Ameche, Edward Arnold, William Bendix, George Burns, Gracie Burns, Gary Cooper, Irene Dunne, Clark Gable, Cary Grant, Fred MacMurray, Raymond Massey, Adolphe Menjou, Ray Milland, George Murphy, Walter Pidgeon, William Powell, Ginger Rogers, Randolph Scott, and Barbara Stanwyck. ↑ Selznick, David O. (2000). Behlmer, Rudy, ed. Memo from David O. Selznick. New York: Modern Library. p. 3. ISBN 0-375-75531-4. ↑ Memo from David O. Selznick, p. 423. ↑ "Memo From David O. Selznick". Amazon.com. Retrieved 2012-12-28.